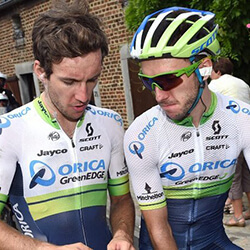 British Simon Yates has claimed his first ever time trial win while participating on stage five of the Paris-Nice just after his twin brother Adam advanced into the race lead for stage two of the Tirreno-Adriatico. 26-year-old Simon finished the 25.5km course in Barbentane, France within 30 minutes and 26 seconds, beating German Nils Politt by seven seconds. Adam finished in fifth place for the uphill finish in Pomerance, Italy, where French Julian Alaphilippe won the race outright. He will be taking over the blue jersey from Mitchelton-Scott teammate Michael Hepburn after the Australian team’s victory in the team time trial earlier in the vent. The Paris-Nice ends with stage eight, while the seven stage Tirreno-Adriatico will be concluding soon after. 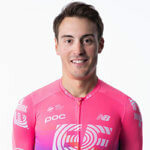 Vuelta a Espana champion Simon had initially dropped out of the contention after losing time in crosswinds while early into the race, and came into the stage following leader Michal Kiatkowski by 18 minutes. As a result, the Mitchelton-Scott cycler left midway through the pack, but managed to put a strong effort in, setting a market that none of the other favourites for their stage or overall were able to beat. 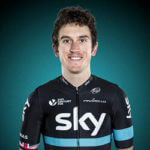 Team Sky’s Kiatkowsky came third for the day, found seconds behind Politt, and extended his overall lead, with team mate Egan Beranl moving forward to second place, and ending 19 seconds down. Simon finished his win by saying that he didn’t believe it was gong to be a good course, but had a really good day. 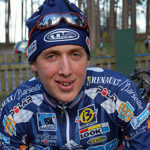 Ireland’s Dan Martin celebrates after his win at the sixth stage of the Tour de France. The rider, who is part of the UAE team, gained the upper hand on ….